Lock in a great price for Valamar Zagreb Hotel – rated 9 by recent guests! Very Clean and nice rooms, nice hotel, nice view, lunch was OK, nothing special. The staff suggest us to take the bikes, it was really nice. Hotel was clean & staff were nice. Kindness and hospitality of the staff, customer satisfaction is perfect. 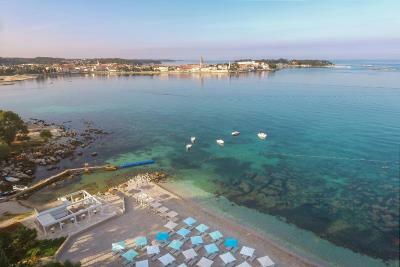 Perfect location easy walking distance to Porec town. We’ve never been half board before but the food was excellent, loads of choice and great quality. The staff couldn’t be more helpful and friendly. Valamar Zagreb Hotel This rating is a reflection of how the property compares to the industry standard when it comes to price, facilities and services available. It's based on a self-evaluation by the property. Use this rating to help choose your stay! One of our top picks in Poreč.Surrounded by a pine forest, the newly refurbished and upgraded Valamar Zagreb Hotel is just 450 feet from the beach and a 10-minute stroll from Poreč Old Town. It features a wellness center, a restaurant, an outdoor pool and tennis courts. Free Wi-Fi is available in all areas. Each room at the Valamar Zagreb Hotel has a balcony, and offers satellite TV and a bathroom with hairdryer. 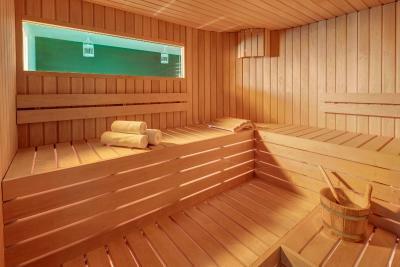 The wellness center at Hotel Valamar Zagreb offers a steam bath, a relaxation zone, infrared and Finnish saunas, heated benches, as well as fresh fruit, tea and water. Croatian and international dishes are served in the modern restaurant. Half-board includes rich breakfast and dinner buffets. Kids can enjoy the innovative children’s programs at the Maro Club. 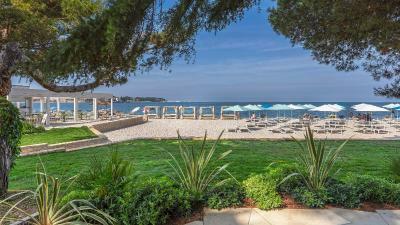 The tranquil Mediterranean parkland that surrounds the hotel, as well as the beach with unique views of Poreč provide a relaxing environment for a carefree holiday. When would you like to stay at Valamar Zagreb Hotel? This room features balcony located on the seaside of the hotel. It also has a large double bed, an LCD satellite TV, mini-bar and a safe. Room featuring its own balcony with park view. It is fitted with a bathroom with a shower, LCD satellite TV and a direct dial telephone. This unit features a family set that includes a children's toothbrush, toothpaste and soap, games kit (picture book, coloring book, crayons, balloons, etc. ), protective covers for power sockets and children's TV channels. Valamar Zagreb Hotel is located near the beachfront in quiet surroundings, only a relaxing scenic stroll from the old town of Poreč. 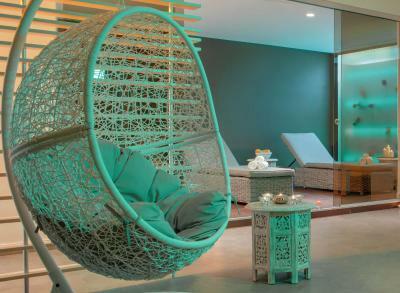 As part of the hotel’s 4* renovation, the wellness centre now offers a steam bath, relaxation zone, infrared and Finnish saunas, heated benches, fresh fruits, tea and water as well as treatments that not only provide you with pure pleasure, but also represent a valuable part of your balanced mind & body experience. House Rules Valamar Zagreb Hotel takes special requests – add in the next step! Valamar Zagreb Hotel accepts these cards and reserves the right to temporarily hold an amount prior to arrival. Please note that children older than 13 can not be accommodated in the family rooms at the stated price. They will need to be accommodated in extra beds which come at an additional cost. Please refer to Children and extra bed section. Washcloth is not provided, tip is to provide a throwaway washcloth. There’s nothing about this hotel that I didn’t like. Price of drinks and the gym is closed but still on the list of the hotel's facilities! Value for money could be better (charging for parking but no garage, charging for strollers and umbrellas on the beach operated by the hotel company). Hotel is not actually on the beach (you have to cross a public street and walk about 200 m to a part of the public beach operated by Valamar) - however that is clearly mentioned on the hotel website, so booking.com should not mark it "on the beach". Food in the main restaurant (diverse, tasty and fresh), staff (polite and helpful), Maro club (animation for kids) - our girls loved it, hotel facilities, cleanliness and surroundings. 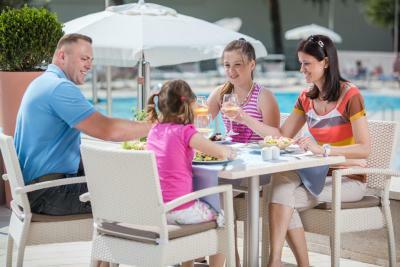 Hotel exceeded our expectations, great breakfast and dinner, room very comfortable for two adults and two children, pool is great with towels available every day, included in the price. Excellent hotel - quite expensive though. The only downside is the mini-bar. They left a note to not store your own drinks in it. So the fridge is running all day & night for nothing if you doesn't chose to pay. My opinion: get rid of the mini-bar but ask for an extra payment to store you're own drinks. The room was big and a nice big bed. The room was very clean, don't like carpets in hotel but this didn't felt bad at all. Big bathroom & free safe available. The food at the hotel is absolutely delicious! Plenty of choice morning and evening! The prices of the food during the day are reasonable. Staff is well motivated! Having to pay for drinks with the evening meal and the prices were some of the most expensive in Croatia. Even water wasn’t available and had to be paid for and was extremely expensive. There wasn’tsandy beaches and had to wear shoes in the water. Everything, location easy access of shops, harbour, restaurants and places to stop and have coffee. The shops were huts, which you get at Christmas markets. Quality of goods sold were a high standard. Also quality of fresh food cooked daily in front of us in the hotel. Staff were exceptionally polite and willing to help with anything. A lot of “not included” like the beach, the water at dinner. Beach too crowded, as the dinner area and swimming pool. Staff very welcoming and taking care of you in any moment.